On October 16th, 250 mobile leaders from over 125 companies across industries and continents attended Mobilize 2017 at the Westin St. Francis in San Francisco. 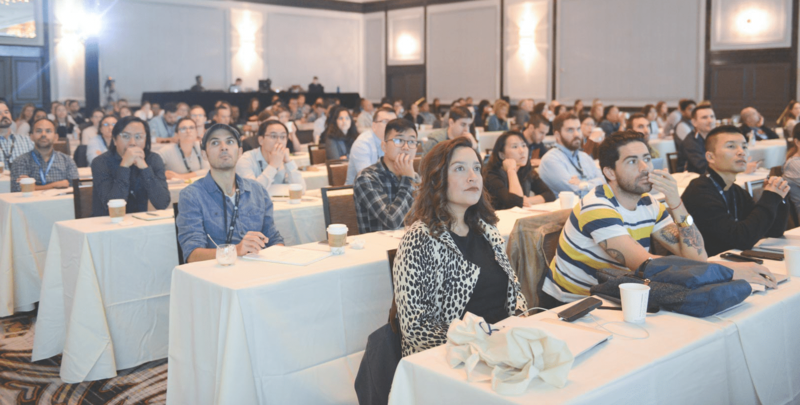 The conference, organized by Apptimize, focused on how teams can unlock their genius and build better products through experimentation and data-informed decisions. The day was filled with actionable and inspiring keynotes from leaders at Airbnb, Delivery Hero, HotelTonight, Netflix, Now TV, Starbucks, Strava, Wall Street Journal, and others. SC Moatti, founder of Products that Count and a tech visionary, kicked off the conference with a talk about building great mobile products. SC explained, “you can find a hook for any one of your businesses that will keep your users entertained, so that when they are ready to buy, you are there.” SC shared that great products are extensions of our best selves. Jeff Feng, Product Manager for Analytics Products & Experimentation Platform at Airbnb, led a session on How Airbnb Does Data Science. Jeff commented, “data is the voice of the customer at scale.” Jeff discussed how 60% of engineers and data scientists at Airbnb run experiments every week. Those who missed Mobilize can view videos from many of the presentations here.